Speaking in front of the El Paso Corral of Westerners, 2011. 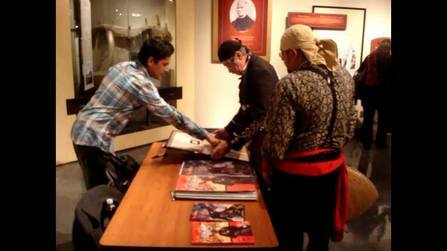 At the El Paso Museum of History, Dec 2013. Discussing an 1881 newspaper article about Dallas Stoudenmire. At the El Paso Museum of History.